Hey guys, in this post, I’ll be comparing two great action cameras: Nikon Keymission 170 and Nikon Keymission 80! Both of them are relatively new on the market, so you might not have used them before (or might not have even heard of them). So it’s time to shed some light on these two action cameras and give you my verdict! First of all, I wanted to say thanks to Nikon for sending me these two cameras. I never actually reviewed a camera before, so it was an honour for me. I was testing these cameras for almost 3 months and recorded multiple travel videos on two on my Youtube channels (tripsget and lizatripsget – the second one is in Russian). 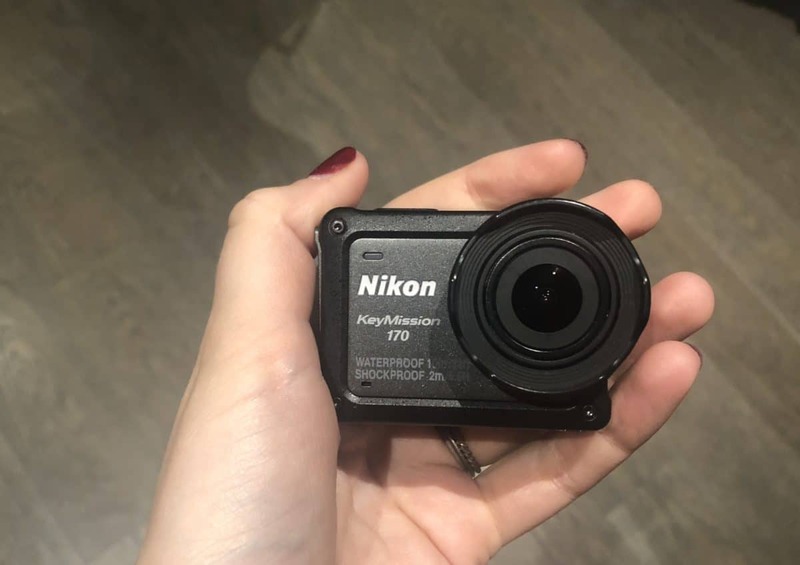 Nikon Keymissin 170 is a great waterproof and shockproof camera that shoots panoramic 170 degrees photos and videos. It’s really great for travel vlogs and underwater footage. It’s super easy to use – you just literally just need to touch one big button and it has a really good battery – I just charged it once and used it for 5 days filming 30 minutes of content, which is crazy! When Nikon sent me two cameras instead of one, I was puzzled. However, when I actually started using them, I realised that these cameras are really different. So, if Nikon Keymission 180 is a great camera for wide-angle travel shots, why on Earth would you need Keymission 80? 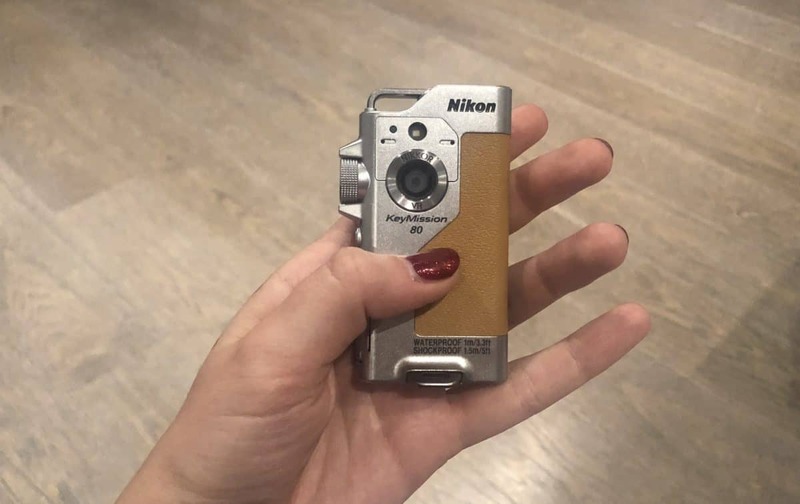 Well, you would need Nikon Keymission 80 if you’re an amateur traveller, who likes filming photos, videos and selfies and doesn’t want to have a bulky camera with him. It’s also great for travel bloggers and even lifestyle bloggers, who want to be spontaneous are fine with filming something on the go. I filmed my travel video to Marseille entirely on Keymission 80 and I was surprised by the good quality on both of the cameras and better sound quality than Keymission 180. Keymission 80 doesn’t have that wide angle, so the footage might not look as cool, but it’s definitely less shaky. The photo quality was okay, but I found that my iPhone shoots better photos, so I personally wouldn’t use Keymission 80 for photos (but again, my standards are high, I always carry my Sony A6000 with 2 lenses with me), but I would definitely continue using it for my on the go vlogs. It’s also great for “undercover videos” – when you don’t want to seem to film anything. The camera is so small and compact that it can be easily hidden in a pocket or even mistaken for a lighter. * Price – it’s just below £220 or even cheaper in the US – $198 and it’s an awesome price. Actually, it can be even cheaper now, so please check the availability here. Finally, here’s my unpacking and first impressions video of Nikon Keymission 170 and Keymission 80! Disclaimer: this post contains affiliate links – it means I would get a tiny commission if you buy something through my link at no extra cost for you!